First it was surfing the internet; now the internet has enabled an ever-swelling wave of social media that allows people to create networks, build like-minded virtual communities and communicate around the clock – not necessarily with your designated media spokesperson. It’s easy to feel swamped, but for local councils for example, still stranded in the social media shallows, Steve Cropper is adamant about the need to take the plunge. When we think of reporters, we typically think about people in TV, radio and newspapers. Most are answerable to an employer with its own standards and journalistic ethics, such as they are. However, when we look out across the media ocean, we can already see a shift in the tide. More and more people are turning away from traditional media towards the shiny new world of social media. Newspaper publishers and commercial broadcasters are watching the financial tide going out very quickly as advertisers seek new online marketing channels that deliver more targeted, measurable results, more cost effectively. Standing on the beach looking out to sea, a newspaper publisher may sense that something ominous is approaching. This can be perplexing. There is a seemingly infinite number of people on Twitter, Facebook, YouTube etc. throwing in their 10 cents’ worth on issues that they may know nothing about, but on which they have mysteriously well-formed opinions. There is effectively no scrutiny of the facts, far more emphasis on gratuitous, agenda-based opinions and above all, little or no accountability. It seems to be more about feelings than thought – more about ignorance than facts. Nevertheless, social media is huge. Conventional media is already mimicking social media behaviour. Everyone duplicates online, the old notion of the news cycle is effectively redundant and reporters are always filing content in a bid to keep pace with social media channels that never sleep. To many people, social media is more influential than traditional media. So organisations need to understand the social media culture, be part of the conversation and plan how to effectively engage in local issues. 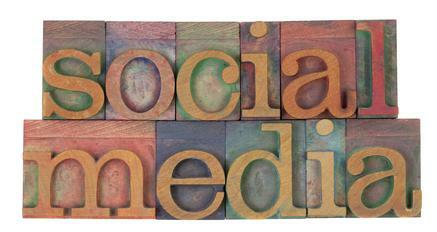 Moreover, it is time now to start thinking about ‘social media’ and ‘media’ as the same thing. It is about a dialogue with ratepayers and other stakeholders. The channels though which we have a conversation are more numerous and varied now, but it is still fundamentally about communication. How ‘online’ are our key stakeholders and what channels do they use? What are the primary issues of greatest interest and importance to our stakeholders? How can our organisation add value for stakeholders by modifying services to be accessible online? Who do we have on staff with an affinity for social media? (Don’t underestimate how much of a full-time job managing social media can be). Thereafter, consider carefully how to rework old-fashioned, management-speak, ‘core messages’ and convert them into conversations with key constituency groups. You might also want to bring in an expert to advise on strategy and implementation.